If you follow me on Instagram, you might have noticed a lack of #manicure posts for the last year or so. No, I’m not hiding my “color of the week” from you—I just haven’t been into getting my nails done. I was getting dip manicures for a while but I got tired of them, and I’ve been enjoying going au naturel (although I file my nails weekly and throw on a coat of clear polish). I have to say this move has given me one less thing to worry about in terms of scheduling, blocking out the time and praying that something doesn’t pop up that makes me cancel. And it’s all good. But, I was definitely intrigued when I came across “The Poppy,” Olive & June’s Universal Nail Polish Bottle Handle, and I could feel it begging me to buy it. Basically a replacement for your standard nail polish cap and brush, the oversized handle gives you extra stability when doing your own nails—and it can be used with ANY polish. 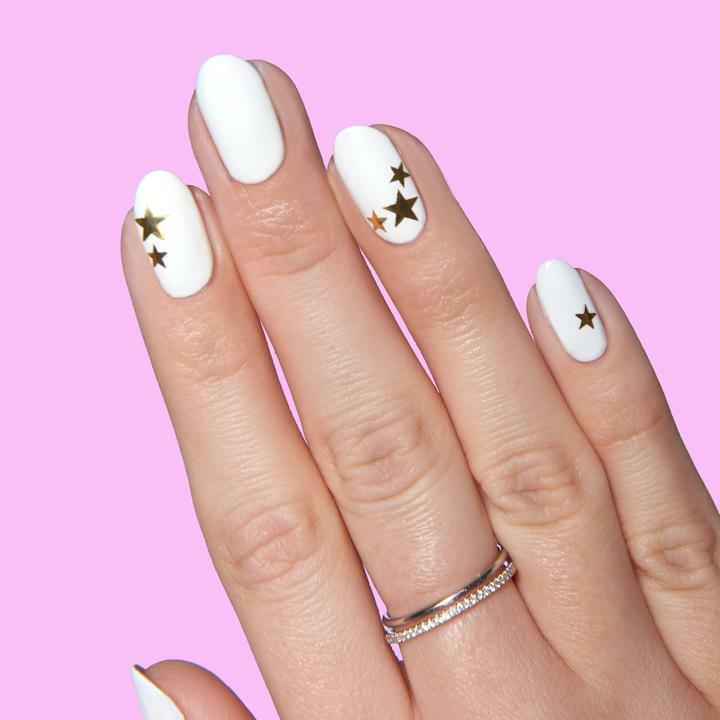 After ogling (and ordering) The Poppy, I did a little poking around the site and loved everything these three L.A.-based nail salons offer. The neutral polishes are stunning, the nail art stickers are amazing and the sandals are oh-so cute. I’m digging Olive & June’s vibe so much, that I’d probably go back to my weekly manicures if I lived in Beverly Hills, Santa Monica or Pasadena (or if they opened a spa near me).